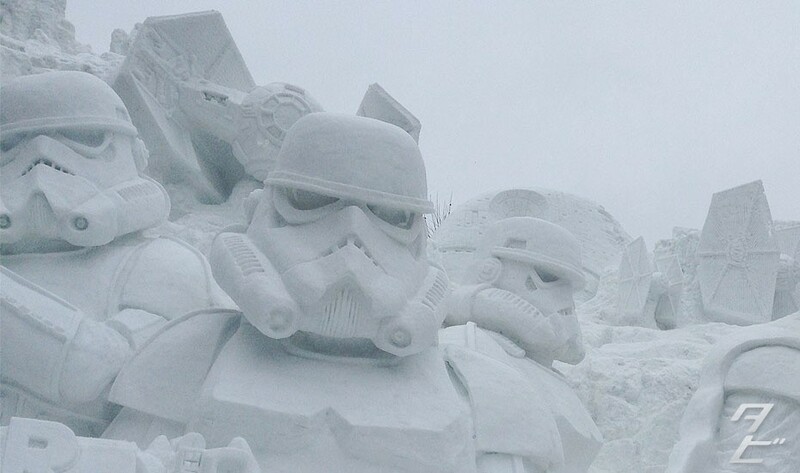 Tubbygaijin.com » The huge Star Wars snow sculpture at Sapporo Snow Festival! 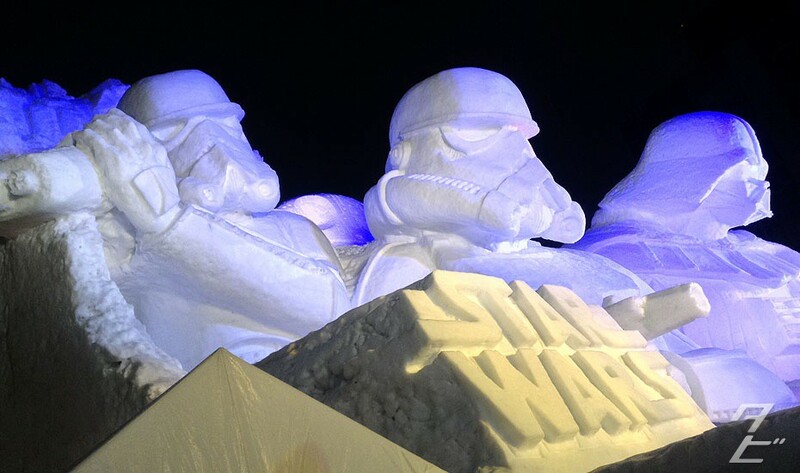 From February 5th through to February 11th, the 66th annual Snow Festival has descended upon downtown Sapporo. 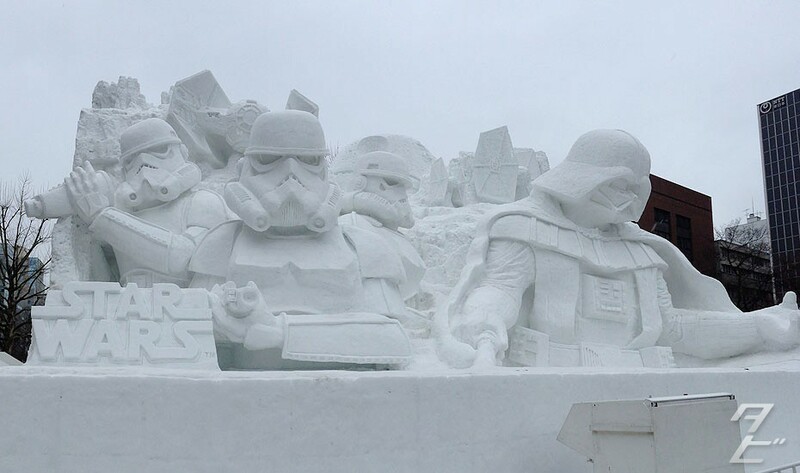 Held in Odori park it features huge, intricate sculptures made of compacted snow and ice, and this year the Galactic Empire are here too! 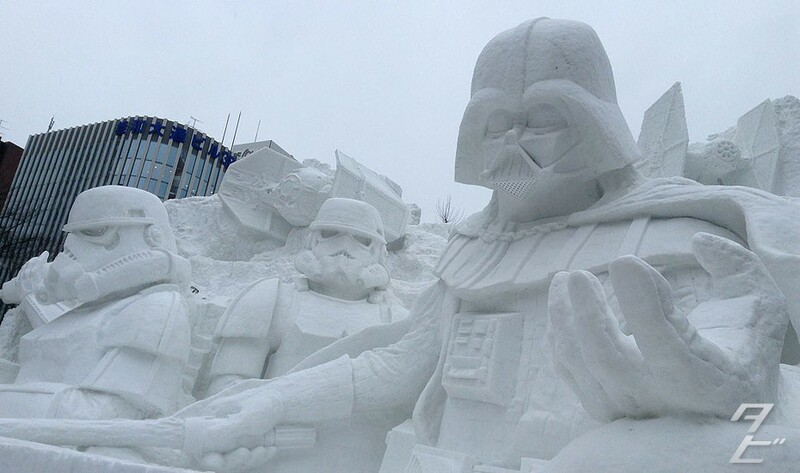 Featuring Darth Vader, classic Storm Troopers regular and advanced TIE Fighters and even the Death Star, this sculpture is a massive 15m x 20m x 22.6m! The detail is fantastic, even on the small background parts, goodness knows how they put these things together! You can even see Vader’s cape chain and seam lines on his glove, insane. 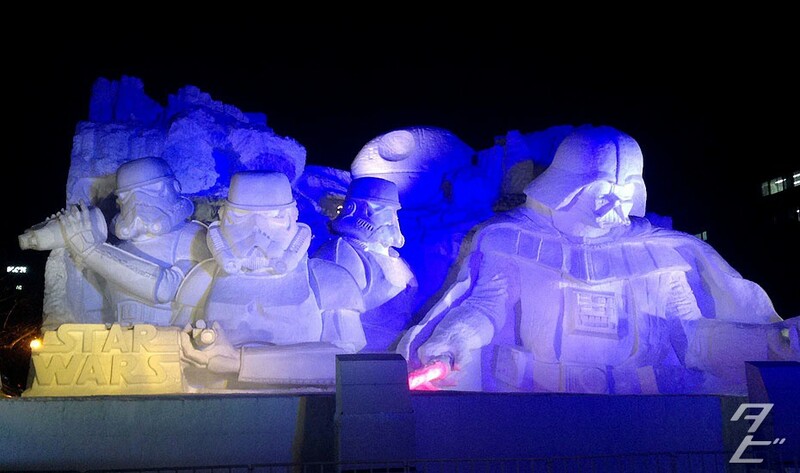 At night, the sculpture is accompanied with light and sound, Vader’s giant lightsaber glows it’s signature red and the Star Wars theme blares out regularly. Yesterday was quite rainy so the detail did suffer during the day, the TIE Fighters are no more and the Death Star is looking a bit deflated. 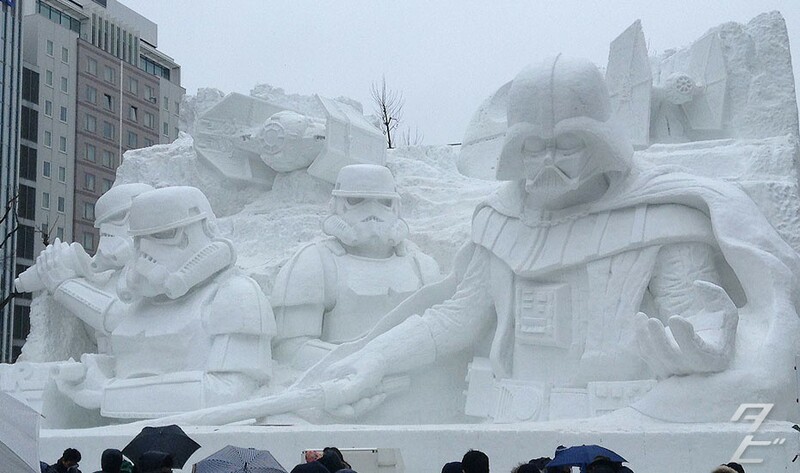 If you want to see this awesome sculpture, get to Sapporo’s Odori park by Feb 11th! More Snow Festival pics to come!